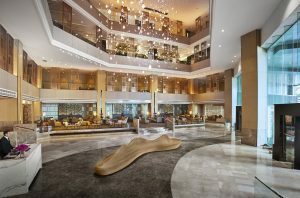 Did you know the inspiration behind Amari Lobbies? These are some fun facts that you didn’t know before! So which lobby’s your favourite? 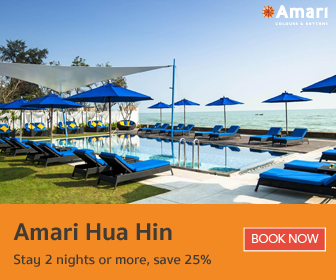 Dwelling in Amari Phuket’s lobby, you can hear the birds chirping in harmony. That is the inspiration behind our spacious, breezy lobby and nest-like chandelier. We seek to make guests feel like they’re residing in a bird’s nest and becoming one with nature. 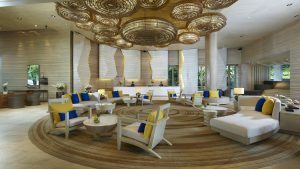 Reflecting the charm of a seaside town, Amari Hua Hin’s lobby is decorated in sunny yellow and cobalt blue with designs inspired by the Marigadayavan Palace, King Rama VI’s favourite summer palace. 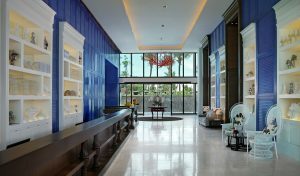 Adorned with horse decorations to add a sense of royalty, guests can truly experience the appeal of Hua Hin within arm’s reach. Walking into Amari Watergate Bangkok’s lobby, it’s hard to miss the lavish Murano glass installation chandelier, which features 847 glass pieces corresponding to the hotel’s address ‘847’. 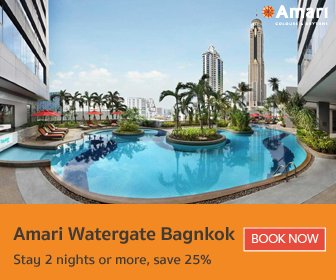 True to its name, Amari Watergate Bangkok uses water as an inspiration behind the art piece, which resembles raindrops that replenish and enliven. 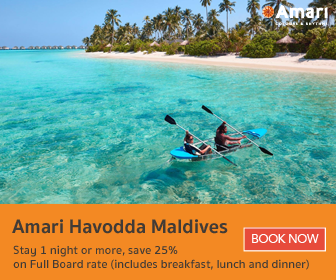 The Maldives is all about amazing beaches and clear waters. 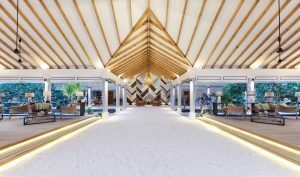 To give guests a glimpse, French interior designer Isabelle Miaja designed a sand lobby for Amari Havodda Maldives, where you can experience the island barefoot even before setting foot on the beach and appreciate its natural simplicity. Preserving and making sure that our guests get to experience the local culture is one of Amari’s greatest pleasures. 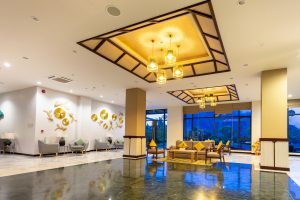 At Amari Vang Vieng, this concept is applied to the design of our lobby by using everyday instruments that locals use, from fish trap chandeliers to woven wall ornaments.